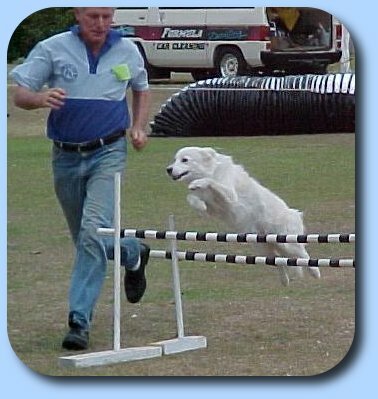 Sissy Blu lived near Townsville Queensland and competed in agility and odedience... She was an Australian Red and white and actually had typical Border Collie Markings - they were just very hard to see. The red colouring is very variable and can range from cream to a rich orange. 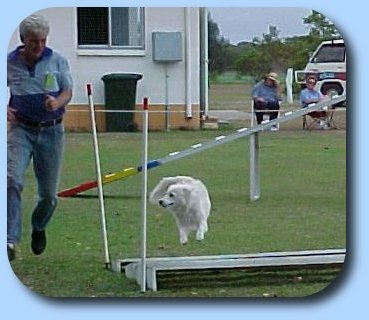 As you can see, Sissy hated her agility and found it really difficult (NOT). 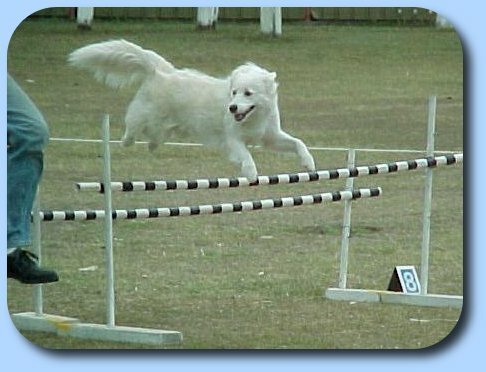 Sissy put everything into the jumps, but was always watching her human.